Spectacular exhibit at the Met. 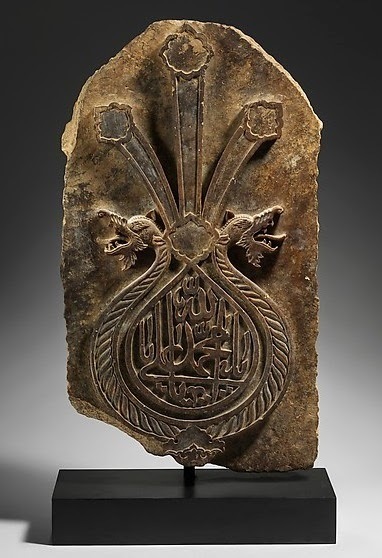 This is a stone standard, c. 1600. 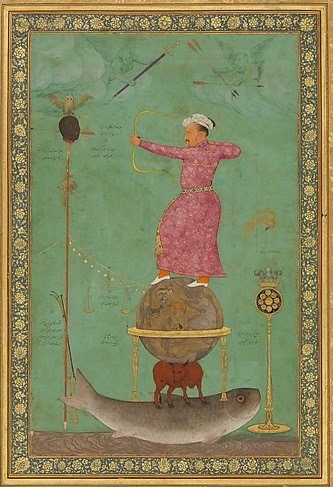 Jahangir Shoots Malik Ambar, Painting by Abu'l Hasan, ca. 1616. Looks to me like Jahangir's enemy's head was brought to him after his men killed the poor fool, so the emperor could shoot the severed head himself. 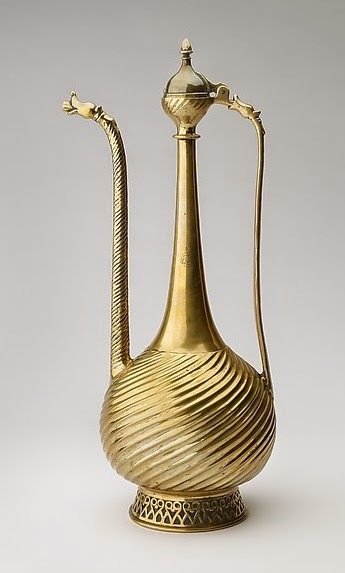 Brass ewer with dragons' heads, 1600-1650. 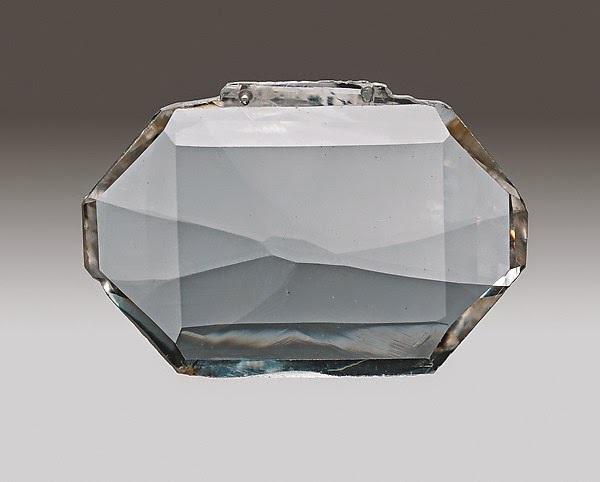 Shah Jehan Diamond, 56 carats. 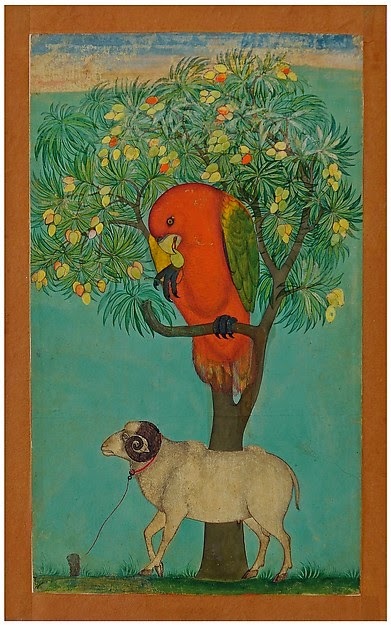 Parrot in a Mango Tree, with a Ram below, 1630-1700. 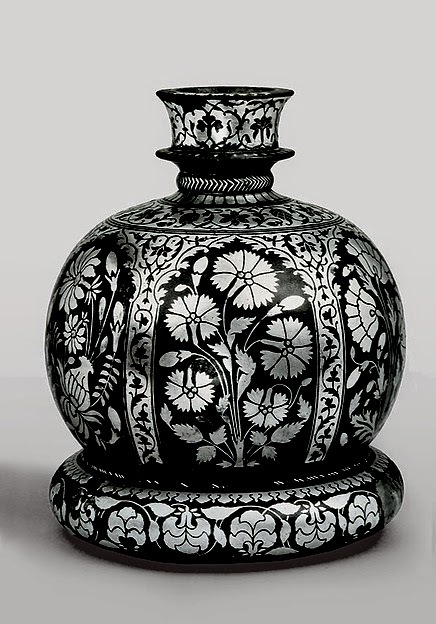 Huqqa base, zinc alloy and brass, 17th century. 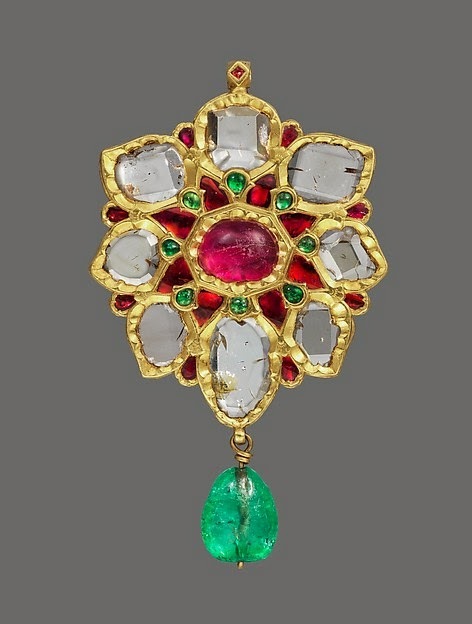 Pendant with diamonds, rubies and emeralds, 1600 to 1650.